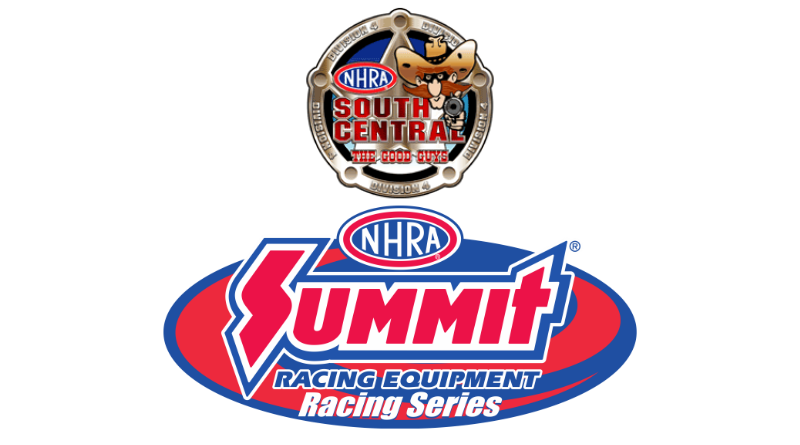 ENNIS, Texas – Jake Howard raced to the Double- Up taking home to top honors in both Pro ET and Sportsman while the team from Hobbs Motorsports Park captured the Team Championship at the NHRA Summit Racing Series South Central Division Finals at Texas Motorplex. Randell Reid, Iowa Park, Texas, ’13 American, 4.741, 144.72 def. Jeremy Hefler, Kennedale, Texas, dragster, 5.049, 134.73. Jake Howard, Lavon, Texas, ’76 Pontiac, 6.681, 106.60 def. Donna Lummus, China, Texas, ’66 Chevy II, foul. Jake Howard, Lavon, Texas, ’76 Pontiac, 7.598, 86.73 def. Adam Martinez, Pearland, Texas, dragster, 7.897, 84.29. Tony Davis, Houston, Texas, ’86 Suzuki, 5.390, 121.88 def. Rickey Bobby KAY, Humble tx., , ’92 Gsxr, 5.727, 119.34. Laci Brown, Paris, Texas, dragster, 9.986, 71.68 def. Dalton Lummas, China, Texas, ’86 Monte Carlo, 10.930, 60.49. Clay Thompson, Laporte, Texas, ’08 Charger, 9.413, 75.46 def. Trent Augustyn, Midlothian, Texas, dragster, 11.119, 63.33. Cody Pollage, Plaquermine, La., ’94 Calais, 10.657, 57.19 def. Eric McLelland, Ennis, Texas, dragster, 10.071, 68.57. Eric Works, Iowa Park, Texas, ’76 Vega, 7.382, 66.66 def. Daryl Patton, Highlands, Texas, ’06 Dragster, foul. Kris Gassaway, Norman, Okla., ’92 Mustang, 6.191, 112.00 def. Lane Jones, Mt Pleasant, , ’81 Mustang, 7.139, 89.50. Rickey Kay, Humble, Texas, ’84 Mustang, 6.102, 91.50 def. Mike Hudson, , , dragster, 9.009, 48.49. DragChamp.com is your source for bracket racing results online. For the latest sportsman drag racing news, visit DragChamp daily.